Cut It Up: Challenge #165 - How's the Weather? Challenge #165 - How's the Weather? It was fun reading about your goals and resolutions for the new year. We wish you the best of luck in achieving them! If you link an entry to this challenge, please stop by on January 25th to see if you won! Now, on to challenge #165, How's the Weather? Create a project about the weather. Don't forget the die cut! 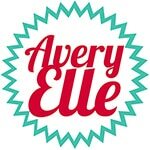 Our sponsor for this challenge is Avery Elle!